Hello @dacoolmike. I'm really sorry that window mode didn't resolve the issue :( We want to see your gameplay! 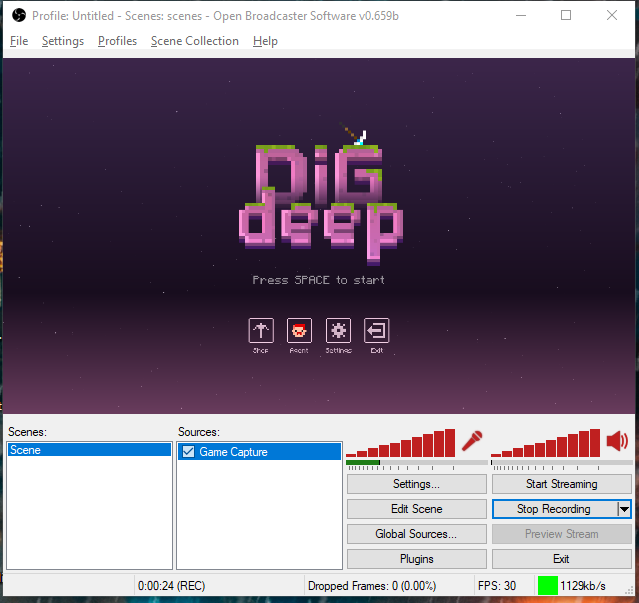 I'll try using OBS Classic to find out what's happening. Meanwhile, could you check if you have file called error.txt at the same folder where the executable is located? The contect could shed some light on the problem. You can email it to us at hi@flippancystudios.com. Thanks!